 Hammer Challenge Rides start the park and ride car park, Salcombe at 9:30 and finish in the Rugby Club. They are designed to give a focus through the winter and into the spring, getting you ready for next season. Everyone starts together and then the challenge is to beat the time for your chosen route. It’s a choice of 3 or 4 hours. For the 3 hour Challenge, you have a choice of 30, 40 or 50 mile routes. For the 4 hour ride, it’s a choice of the 50, 60 or 70 mile challenges. They are free to all Hammer Sport club members and just £5 to non members. They’ll be plenty of time to chat through the days ride afterwards over a drink in the club!